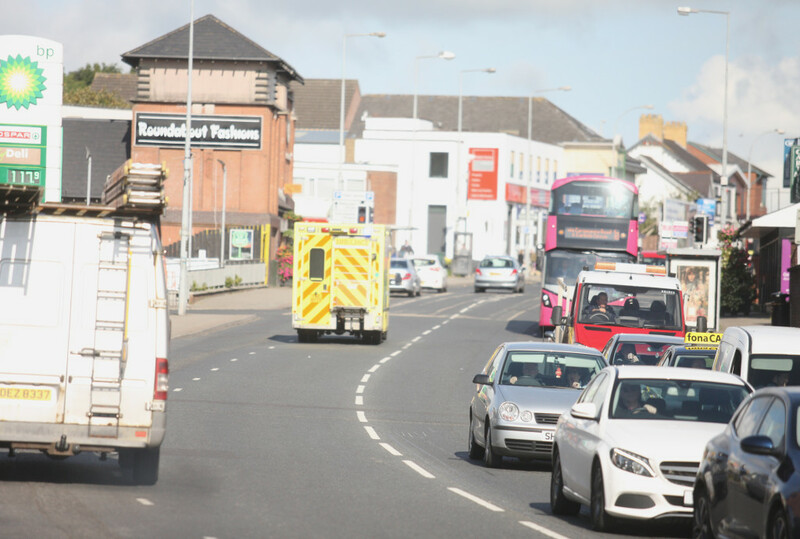 A flare-up of anti-social behaviour at a notorious Glengormley hotspot has drawn a strong response from the PSNI as crime stats show almost 100 incidents were reported to police in just six months. According to a PSNI spokesperson, officers had to deal with a large group of young people throwing items onto the road close to the village’s petrol station on Monday night (August 28). That was after local traders were threatened over the bank holiday weekend and homes attacked close to the centre of Glengormley. The latest incident comes after crime statistics revealed an explosion of anti-social behaviour in the area between the old RUC barracks and the Farmley estate. Between January and June 92 anti-social behaviour incidents were reported, along with 33 incidents of theft and shoplifting and eight of criminal damage and arson. Ten incidents of violence and sexual assault were also recorded. After Monday night’s incident details were taken from a number of youths after the officer said they were “endangering their own lives” with their behaviour. Their parents and schools will now be contacted. There have been ongoing problems with anti-social behaviour in the last number of years with gangs of up to 100 young people gathering at the weekends. In 2014 the PSNI went as far as escorting young people home to North Belfast from Glengormley on public transport. And last year the North Belfast News revealed that the 24-hour McDonald’s restaurant that attracts young people had issued banning orders which contributed to a reduction in anti-social behaviour. Alliance Councillor John Blair said he was of the opinion that programmes favouring a non-confrontational approach to those causing the problems should end. “I have arranged a meeting of traders and the Policing and Community Safety Partnership to discuss the recent trouble because this was a very bad situation. “For years we have invested money in diversionary tactics but still youths intent on causing trouble flock to the area from all over and we are left picking up the pieces.